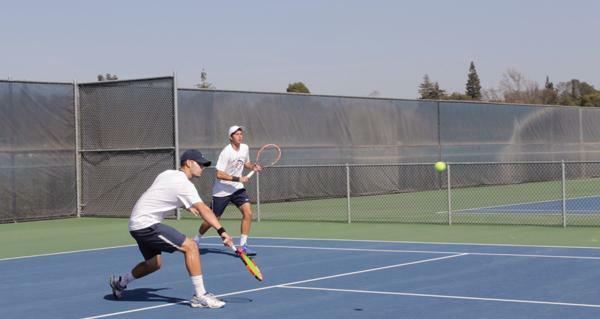 The men’s tennis team won doubles against Foothill College, but was defeated two out of three sets in singles after close head-to-head matches. Freshman TJ Aucklands played well, but could not win in his singles match. Freshmen Joseph Capaul and Jimmy Giovanni of ARC’s # 1 doubles team were victorious in their matches with a score of 9-8. Freshman Ryan Wilson and John Foote of ARC’s #2 doubles team competition won by a score of 8-5. ARC men’s tennis head coach Bo Jabery-Madison commented on the positive aspects of team #2 doubles match. “The highlight to me in this doubles is I love it when we take a bad situation and turn it around by not giving up. We were down in this match, they were serving at 7-6 that means if they (Foothill) would have held their service game they would have won,” said Jabery-Madison. Jabery-Madison said he believed Foote gave himself a chance to succeed, with tremendous effort throughout the entire match. 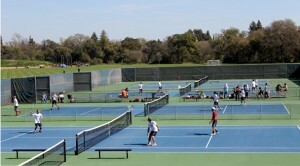 ARC’s men’s tennis team hosted a match against Foothill College on Saturday, March 7. ARC tennis singles teams played in a best two out of three sets. The last match by Auckland in singles was lost by scores of 6-3, 6-4. “(Auckland) played a player that had a lot more experience, but he fought hard with passion,” said Jabery-Madison. Jabery-Madison also commented on some key points of Auckland’s execution, and respect for playing at his best. “(Auckland) couldn’t quite execute … he fought hard and that’s all we can ask for anyone,” said Jabery-Madison. “I was happy with how I was able to play with a game plan I’ve been trying to improve (upon), and yesterday’s game was the first time I was really able see where I’m at,” said Auckland about his performance during his singles match. During the changeovers in doubles, Jabery-Madison told his players about improvements in their game, while also giving them a confidence to play well. “(I told them) to use their backhands more … remember to trust in what we do …. we know what we do well even if things don’t go your way,” said Jabery-Madison. 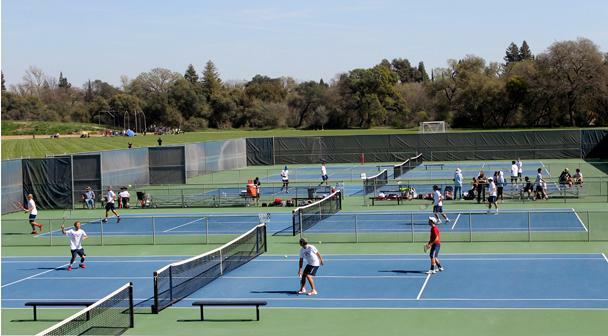 The team’s next match will be at home against Diablo Valley on March 13. Be the first to comment on "Men’s doubles wins a split 2-3 match against Foothill College, loses 5-4 in singles"